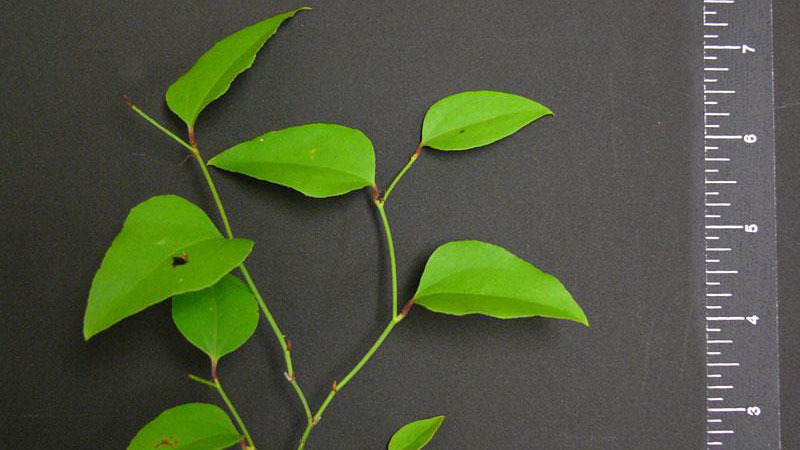 Greenbriar is a perennial woody vine that often climbs other vegetation. 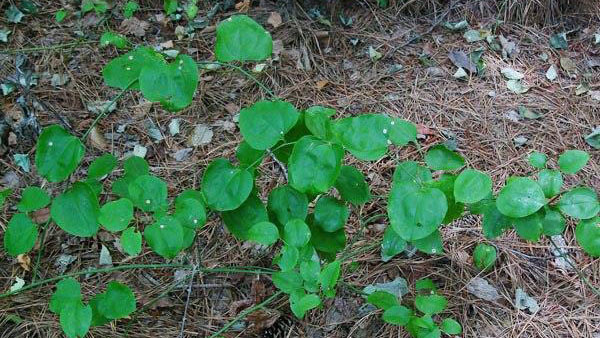 The broad heart-shaped leaves are shiny and have parallel venation and smooth margins. The stems have many sharp prickles along their entire length. 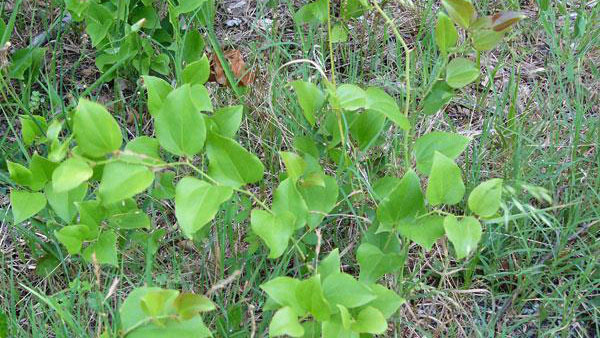 Greenbriar can form thickets of vegetation in undisturbed sites, as well as in open landscapes and nursery areas. 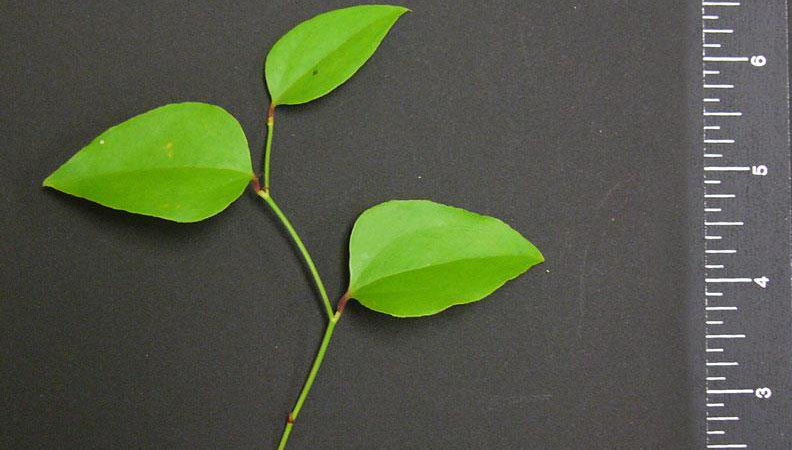 Greenbriar is a difficult-to-control perennial woody vine that often climbs other vegetation. 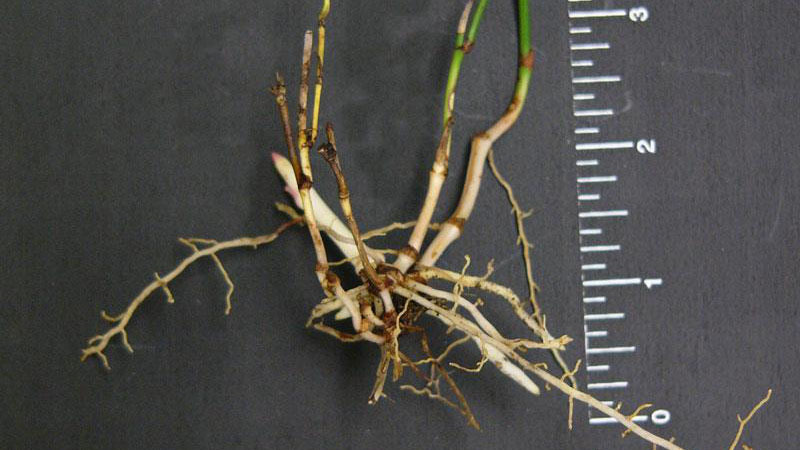 Perennial broadleaf weeds are capable of living more than two years. Figure 1. Greenbriar growth habit. Figure 2. Greenbriar growth habit. Figure 3. Greenbriar growth habit. Figure 4. Greenbriar growth habit. Figure 5. Greenbriar leaflet number. Figure 6. Greenbriar leaflet number. Figure 7. Greenbriar leaflet number. Figure 8. 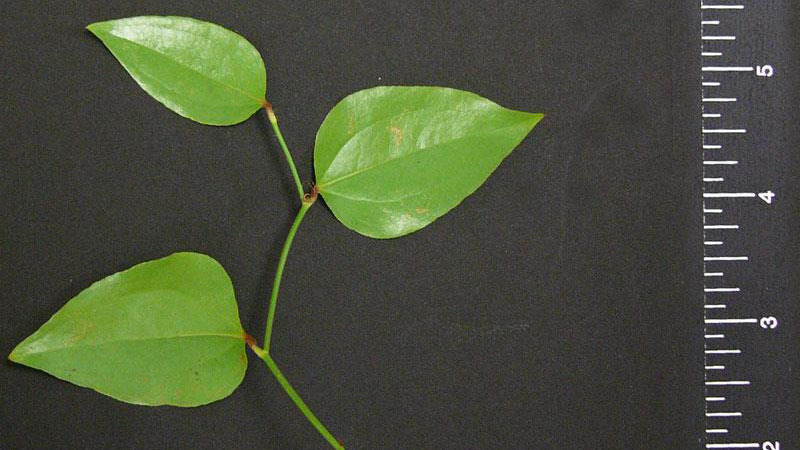 Greenbriar root type. Figure 9. 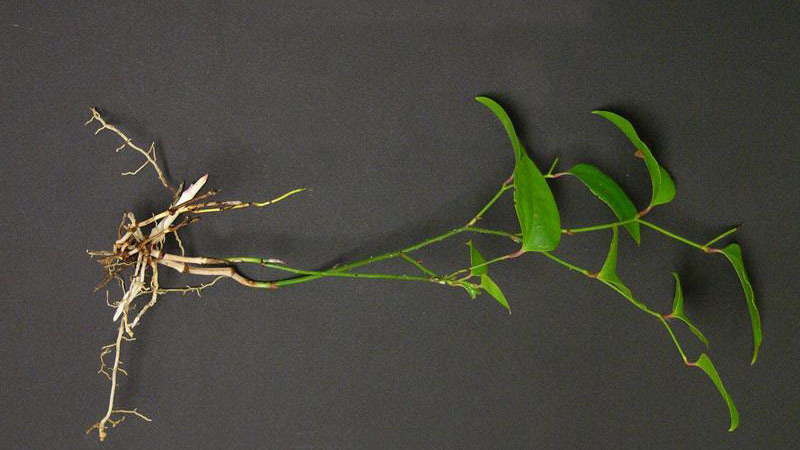 Greenbriar root type.